Loaves & Fishes is a nationwide network of community-based organizations whose vision is to end hunger in our communities. Loaves & Fishes mission is to provide food and leadership in the community by uniting and mobilizing local resources. Church of Peace has been the “home base” host of Loaves & Fishes in Fond du Lac since 2007. Church of Peace partners with many other churches and organizations in Fond du Lac to provide about 300 meals each week on Mondays and Wednesdays to individuals and families in need. Each meal is prepared and served by a different group of 20-40 volunteers. 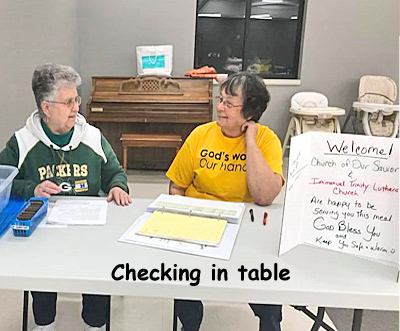 Volunteers from Immanuel-Trinity Lutheran Church partner with those of Church of Our Saviour serving the meals 3-4 times per year, on a rotating basis with the numerous other groups. 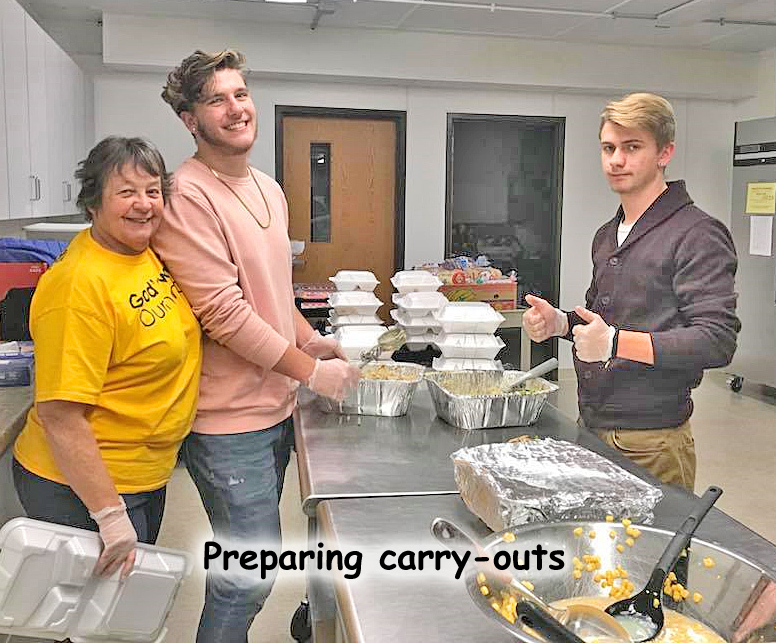 Our "Faith in Action Team" and members of Immanuel-Trinity donate, prepare and serve meals to Fond du Lac's needy with the Loaves and Fishes program. The "Faith in Action Team" hopes that this gives all members the opportunity to serve the community by helping with meal preparation in making casseroles, or donating cans of vegetables, fruit cocktail, cookies or bars. Loaves and Fishes is a wonderful ministry to Fond du Lac's needy. Loaves and Fishes, set-up begins at 4:00 p.m., the servers eat at 5:00 p.m., the community is served at 5:30 p.m. and clean up follows. For more information Fond du Lac has a Loaves and Fishes website.